Recently, I’ve been following two stories about so-called “political correctness,” or—as I prefer to think of it—(a.) basic human dignity and (b.) basic awareness of what our symbols say. I’m referring specifically to my alma mater Susquehanna University’s recent decision to jettison its offensive mascot and the Internet’s furor over Starbucks’ holiday cups. In both cases, the people who are complaining about these design choices have never suffered from the political realities associated with images of Christianity’s militant past. In both cases, the attacks are fueled by an ignorance of the violence encoded in these symbols. Let’s start with Susquehanna. I was reminded of my alma mater’s decision when a bizarre Fox News Insider blogpost erroneously reported that the university had decided to change its mascot to represent the campus’s humble and ubiquitous squirrel population. 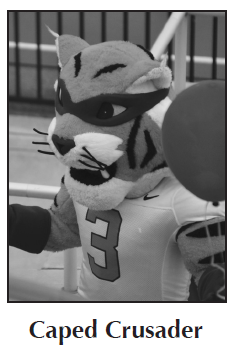 The university’s historic mascot was “The Crusader”: at one point, an actual knight on horseback, and later the “Caped Crusader,” a tiger wearing a maroon cape. In hindsight, it’s amazing that Warner Bros./DC Comics never sued SU for stealing one of Batman’s soubriquets. This fall, the university’s administration—after a lengthy process of consulting with faculty, students, and alumni at town hall meetings—accepted President L. Jay Lemon’s recommendation that the best course of action was to move away from that outmoded branding and toward a mascot that promoted inclusivity. The old nickname represented European attempts to dominate and expunge Muslims and Jews alike. Defenders of the old nickname suggest that this is a limited definition that only considers the historical moment of the Crusades, but this antagonism against non-Christian populations has persisted: it’s at the crux of Sir Walter Scott’s nineteenth-century novels of the Crusades, and it became part of the post-9/11 lexicon of hatred when President George W. Bush adopted “crusade” to describe the War on Terror. 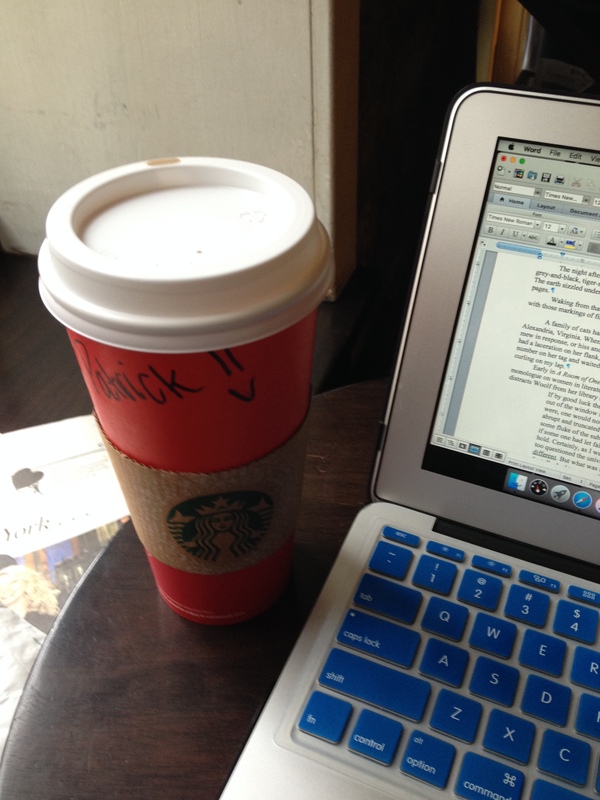 I can actually read what the barista writes on this year’s holiday cup. Oh, and thank your barista, wish her a pleasant day, and engage when she makes small talk. That’s how you get a smiley face on your cup. 1.) We’re talking about red cups. Very pretty, minimalist red cups with a nice gradient effect that transitions from scarlet to cranberry red. 1a.) I spent forty-five minutes doing a Google image search, and I couldn’t turn up a single Starbucks cup with explicitly Christian imagery. I did, however, find a CNN slideshow with Starbucks holiday cups across the years. 2.) Feuerstein claims that we have become “so open-minded our brains have literally fallen out of our heads.” Tolerance is not an open-brain surgery in which we spill people’s brains out of their skulls. 3.) Tirades like Feuerstein’s assume that everyone is or should be Christian, as if this is the only population that Starbucks should worry about offending. Sorry, guys, but other faith traditions exist, and I’ve read enough of other holy writs to know that these traditions and belief systems offer our culture a lot. 4.) You brought a gun into a Starbucks while wearing your Jesus t-shirt, as if you could terrify baristas in a single Starbucks store. The last time I checked—and here’s another problem with the Crusader motif, while we’re at it—Jesus totally digs the non-violence thing. 5.) You’ve pranked a single barista. “Pranking Starbucks” it ain’t. Comparable to the peasant’s theory of governance in Monty Python and the Holy Grail, a single person handing you a cup of coffee is no basis for claiming that you have succeeded in inciting a populist movement against a multinational corporation. In each case, the decisions were motivated by tolerance, acceptance, and compassion. It’s not so much “political correctness” as it is (a.) basic human decency, (b.) an historical awareness of Christianity’s violent past, and (c.) the desire to avoid logical fallacies that simply retrench hatred and intolerance.